Are you and your squirrel friends as excited as I am that winter is finally over and springtime is here? 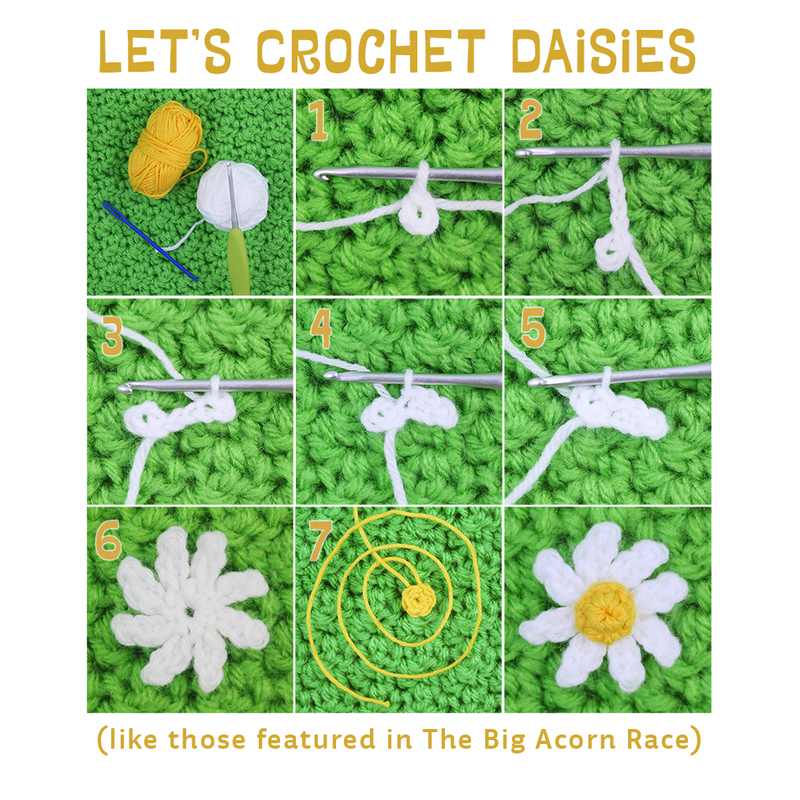 Celebrate the arrival of spring by crocheting some daisies like those featured in The Big Acorn Race. Ease yourself and your hands into the task of crocheting on a small scale by using a heavier weight yarn and appropriate crochet hook for the pattern first. I’d start with a medium-weight yarn for the first daisy, just to give the pattern a try, then move down in weight from there. Crocheting tiny takes patience. If you find yourself getting frustrated, put your work aside, and go do something else for a while or even put it away for a day or two. Your work and your nerves will benefit from a fresh perspective. Be sure to stretch your hands now and then. Whenever my hands start to tense up, I find it helpful to take a break and do a few hand and wrist stretches like these offered by Kathryn of Crochet Concupiscence. Have fun! 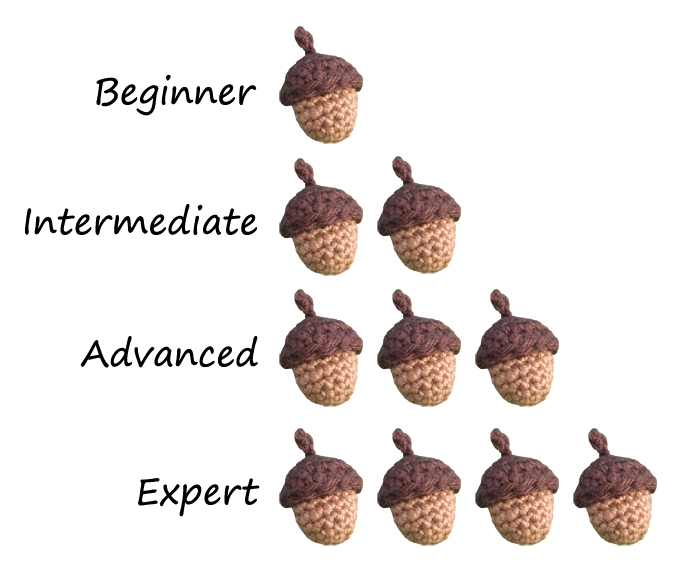 Trying out something new always brings ups and downs, but paying attention to the aspects of the new project that you really love will help you crochet it with a smile on your face. With white, ch 3 and join with slst to 1st ch to form a ring. Rnd 1: 6 sc in 2nd ch from hook. FO, leaving a long tail for sewing. Weave in other end. Use the long tail to sew the center circle to the center of the petals. I like to pull the tail tight as I sew the center on to draw the stitches in and give it a three-dimensional look. 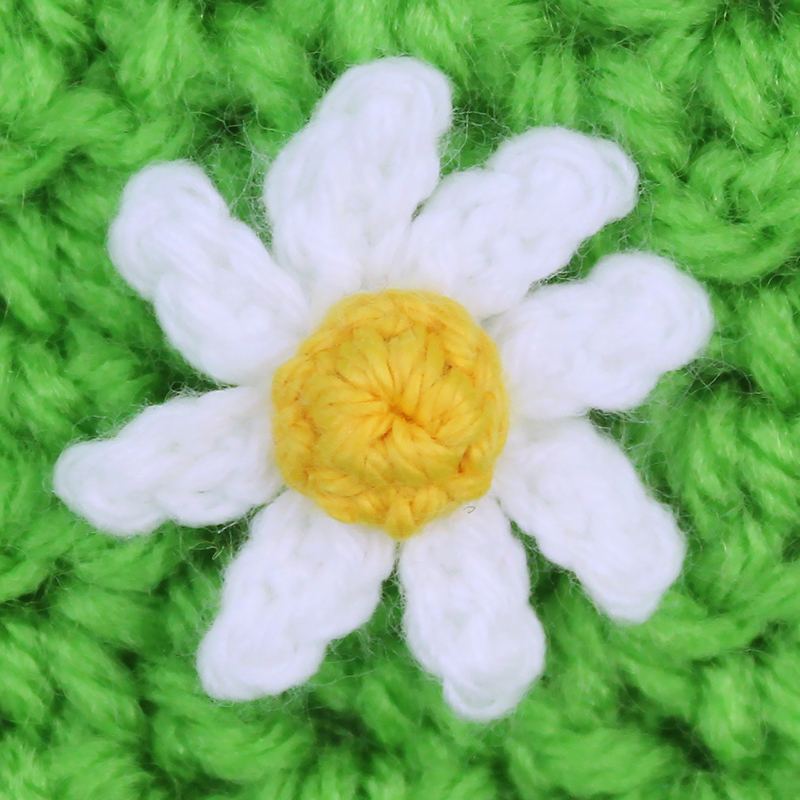 Categories: Free Crochet Patterns | Tags: amigurumi, crochet, daisy, spring | Permalink.